NASHVILLE, TN. — Atlanta Braves legend, Dale Murphy, is scheduled to be the keynote speaker at the 77th annual Old Timers Banquet on Thursday Jan. 22, 2015 at the Nashville Airport Marriott located at 600 Marriott Drive. Doors open at 5:30 p.m. and the banquet will begin at 6:30 p.m. Source: The Tennessean. Photo shows for Atlanta Braves legend Dale Murphy speaking in a 2012 interview with Fox Charlotte. According to The Tennessean article, the association will name Chris Mercado, coach of the South Nashville All-Stars that was among the eight teams that represented the U.S. in the 2014 Little League World Series, as its Mr. Baseball selection. Former Stratford star Kenny Thomas, a long-time coach at Volunteer State who is now at South Carolina-Aiken, will be inducted into the Nashville Amateur Baseball Hall of Fame. Ken Norfleet, a local umpire, will be inducted into the Umpire Hall of Fame at the banquet. Several college scholarships will also be awarded to senior baseball players from high schools in the Midstate. 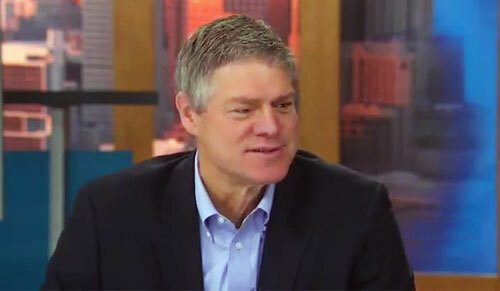 Watch Dale Murphy in 2012 interview on the morning show with FoX Charlotte. Tickets are $60 and available at Hit After Hit Baseball Academy on Airport Center Drive, the Nashville Sounds at Greer Stadium and Nashville Sporting Goods on Rosa L. Parks Blvd. During his 18-year baseball career from 1976 to 1993, Murphy played for three different teams, but is best known for his time with the Atlanta Braves. Murphy won consecutive National League Most Valuable Player Awards (1982–1983), the National League’s Silver Slugger Award four straight years (1982–1985), and the National League’s Gold Glove award five straight years (1982–1986). Sports Speakers 360 is a booking agent for pro athletes. If you would like to book Dale Murphy for a speaking engagement, appearance or endorsement, contact Dale Murphy’s booking agent for fees at 1.855.303.5450.